With the 2015-16 season officially under way, NHL teams begin the long, laborious process of attempting to improve upon their prior campaigns. For a number of teams, on-ice progress will be aided strongly be the arrival of new players, whether it be through trade or free agency. On the other hand, younger teams of lesser experience will be counting on the continued development of prospects and draft picks in order to improve, or re-gain relevance in the League. Such is the case for a number of NHL teams this season, however, there are five teams in particular which stand to enjoy the greatest improvement in 2015-16. After failing to reach the Stanley Cup Playoffs in 2014-15, the sixth time in the past seven years, expectations are sky-high in Dallas, with a newly improved team expected to make a considerable post-season push. Sure, the Stars lost Trevor Daley and Ryan Garbutt to trade, as well as Shawn Horcoff to free agency, but they have added to their league best offence, having acquired former Chicago Blackhawks star Patrick Sharp. Further, increased in goaltending depth due to the arrival of Antti Niemi, and a bolstered blue-line with Johnny Oduya will, and has already begun to help improve the Stars’ primary area of weakness: defense. In terms of their young talent, Cody Eakin has surely established himself as an important piece on the Stars roster, while former tenth overall draft choice Valeri Nichushkin is returning from an injury plagued season, and is looking to break-out as one of the Leagues most dominant power forwards. On top of these new additions and developing young prospects, the Stars remain loaded with elite talent. Tyler Seguin, the Stars’ number one center, alongside 2014-15 Art Ross Trophy recipient Jamie Benn make an incredibly dangerous duo. Further, Jason Spezza centers the teams second line, alongside the highly skilled Ales Hemsky. Thus far, changes made to the Stars’ roster this past off-season are paying immediate dividends. Not only has Dallas received quality goaltending, but their offense has picked up where it left off in 2014-15, and is once again firing on all cylinders. Ultimately, the Stars will be much improved because of their incredible depth. Not only does Dallas retain tremendous young talent up front, but also improved youth and veteran experience on the back-end, as defense was the main issue of the Stars this past season. Major losses for the Islanders this off-season were few, particularly Lubomir Visnovsky and Michael Grabner, however, they essentially replaced these players with Marek Zidlicky and Steve Bernier while adding Thomas Greiss, a testament to their emphasis on player depth. In fact, the Islanders could retain the greatest team depth in the NHL. Up front, the Islanders boast a wealth of high-end talent, namely John Tavares, Brock Nelson, Kyle Okposo, and Ryan Strome, who continues develop into a strong, yet steady full-time NHL player. On defense, the incredible depth continues, as Nick Leddy, alongside Johnny Boychuk, are supported by Calvin de Haan, Travis Hamonic and Thomas Hickey, three young, developing players with tremendous potential and experience. Despite beginning the 2015-16 with average results, the Islanders are simply too deep to play average hockey. 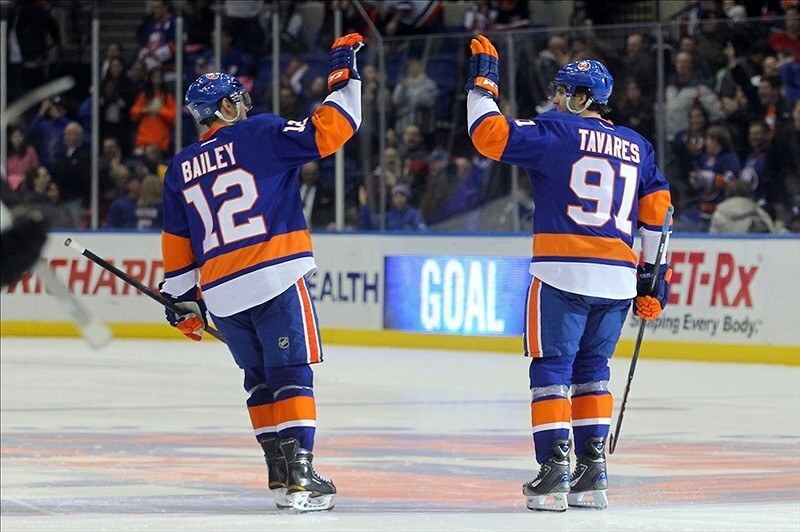 Opening with a record of 2-1-1, the Islanders can quite easily be expected to go on a major run, led by their young stars on both offense and defense. Injuries simply destroyed the Columbus Blue Jackets’ playoff chances in 2014-15, as the team endured over 500 man games lost to various ailments. However, the Blue Jackets displayed not only their resiliency, but also their team skill in their last 20 games, accumulating a 16-3-1 record. In 2015-16, the Blue Jackets hope to continue this amazing play, and just may have the team to make it happen. However, the season has thus far gone anyway but as planned. Although they parted ways with a number of players, including James Wisniewski, Artem Anisimov, Corey Tropp, Jeremy Morin, Marko Dano and Mark Letestu, the Blue Jackets are still seemingly improved following the arrival of Brandon Saad, who signed a six-year contract extension following his arrival from Chicago. As a result, the Jackets are stacked up front with incredible young talent, as Saad will likely play the majority of the season alongside Ryan Johansen and Nick Foligno. Further, the continued development of Cam Atkinson and Boone Jenner will provide Columbus will much improved offensive depth. 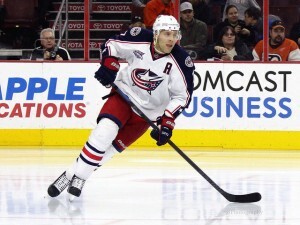 On the back-end, the Blue Jackets could use some additional depth, however the presence of Jack Johnson, Fedor Tyutin, Ryan Murray and David Savard should provide Columbus with adequate defense in 2015-16. In goal, Sergei Bobrovsky remains as dangerous as ever, while Curtis McElhinney signed a two-year deal in order to provide the Jackets with additional stability in the crease. Yet despite this incredible talent, the beginning of the Blue Jackets season can not be described in any way other than what is truly has been: a dud. After an 0-5-0 start, including 26 goals against, it would appear to many as though Columbus will struggle as they have in years past. However, if their run at the end of last season means anything, it is that this young Blue Jackets team is capable of incredibly hot, yet streaky play. The Florida Panthers are loaded with young talent, talent which has been steadily developing at the NHL level for the past few years. In 2015-16, this talent is poised to wreak havoc upon the NHL. Brad Boyes, Jimmy Hayes, Sean Bergenheim, Scottie Upshall and others all departed this off-season, however these moves were made in order to provide the Panthers’ budding young stars with adequate ice-time. In particular, these youngsters are the likes of Jonathan Huberdeau, Aleksander Barkov, Nick Bjugstad, Brandon Pirri and Vincent Trocheck, while the Panthers also added another young gem in Reilly Smith. With such elite young talent, as well as more developing in the AHL, the Panthers are an incredibly young and skilled team up front, who will be aided by veterans such as Jaromir Jagr and Jussi Jokinen, who have already been offensively productive this season. On defense, it is more of the same. Aaron Ekblad will only improve in his second NHL season as a Calder Trophy winner, while Erik Gudbranson, Dmitri Kulikov and Alex Petrovic are all young defenders who will undoubtedly improve in 2015-16. 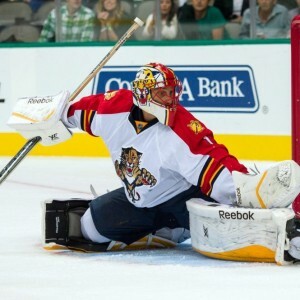 In goal, Roberto Luongo is back to his old self in Florida. 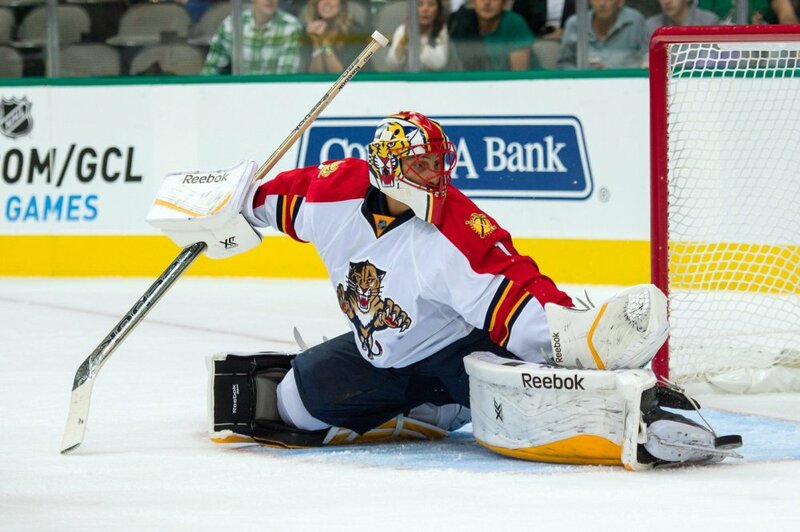 In an opening night win, Luongo stopped 38 of 39 shots, and at the age of 36, could be one of the NHL’s top goaltenders this season. Despite a reasonably strong start to their season at 3-1-0, a ton of doubt continues to surround the Panthers in 2015-16, however with a strong supporting cast of veterans, it is highly unlikely that any insecurity will seep into the Panthers’ play this season, who have looked dangerous in the early going. After a surprising playoff appearance in 2014-15, the Winnipeg Jets are poised for a much deeper playoff run in 2015-16. Despite being eliminated by the Anaheim Ducks in four games earlier this spring, the Winnipeg Jets played a hard fought series, and could quite easily have won a number of close playoff games. However, thanks largely to a roster jammed with young talent which only continues to develop, the Jets will likely not only make the playoffs, but make a much more meaningful push this season. 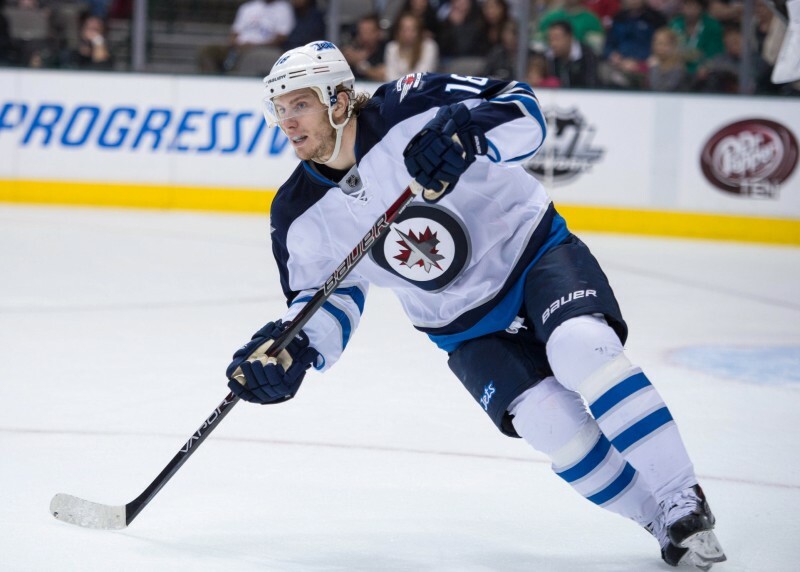 Although the Jets’ only off-season acquisition was Alex Burmistrov, both Nikolaj Ehlers and Nicolas Petan made the team out of camp, and have already begun to leave their marks at the NHL level. On the other hand, the Jets’ most notable departures were Michael Frolik, Jiri Tlusty and Lee Stempniak, meaning that the current Jets roster remains loaded with talent, skill and experience. 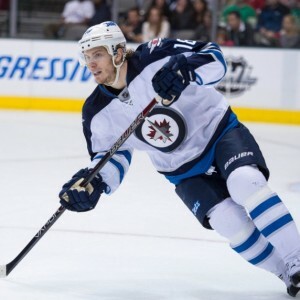 Andrew Ladd, Bryan Little, Blake Wheeler and Mathieu Perreault will be counted on to provide the majority of the teams offense, and have already done so early in the season, while Mark Scheifele will also be expected to become a more regular contributor, and has the skills to do so. On defense, the Jets remain as strong as ever. Toby Enstrom, Tyler Myers, Dustin Byfuglien, Jacob Trouba and Mark Stuart re-assume their same roles as last year, and combined consist of one of the strongest, most intimidating defensive cores in the NHL. Having begun the 2015-16 season with a 4-1-0 record, the Jets have already knocked off some incredibly talented teams, namely the Boston Bruins and the New York Rangers, and look ready to continue their great play despite a tough October schedule.